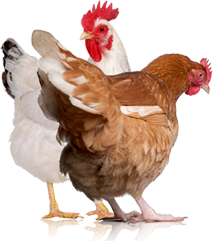 Ever since my early 20s, I have kept chickens for eggs and occasionally some for meat. Living in urban neighborhoods, I had my fair share of conflicts with neighbors and homeowners’ associations on the legalities of raising these birds in my backyard. When I got married, I gave up my urban roots and my wife and I decided to live on her rural property of 10½ acres—finally, chicken heaven for me! One of the first things I did was build a small coop and fill it with chickens so we could enjoy our own farm-fresh eggs. 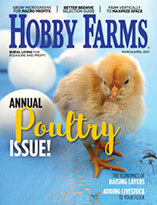 Our children were in 4-H and FFA and raised chickens and pigs for the fair, while my father would joke with me about being a hobby farmer, even going so far as to gift me a subscription to Hobby Farms. 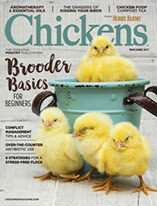 After reading the first issue, I was hooked and was convinced that I was a hobby farmer. We decided to start selling eggs so I ordered 50 chicks from the hatchery and built a larger coop on skids so it could be moved around the property to provide the chickens with constant access to fresh grass. I bought a copy of Joel Salatin’s Pastured Poultry Profits, and the book excited and motivated me to build a chicken tractor based on his design, which we promptly did, filling it with chicks. We did all the processing by hand the first few times, but now we have a complete processing setup with kill cones, an electric scalder, a plucking machine and an evisceration table. Ten acres quickly became a lot to maintain as a hobbyist and keeping up with mowing on a small lawn tractor just wasn’t cutting it; pun intended. Eager to learn more, I started reading books and articles, checking out university research and studies, and watching documentaries, all of which revealed the dangers of industrialized foods, the inhumane treatment of animals and the lack of sustainability. This convinced me that we had to be a pasture-based farm, and with the encouragement of our farm friends, we decided to go big and openly start sharing our hobby farm. In 2011, we had a farm sign made, developed a website and listed Turner­Kelley Farm on EatWild.com and LocalHarvest.org, which brought many more friends to the farm. Eventually, we also added Berkshire pigs to the menagerie. After raising our first batch of four pigs, we fell in love with this heritage breed and felt they were the perfect fit for our operation. In order to have better control over our ability to provide pork on a regular basis, we ultimately invested in two purebred Berkshire gilts that we artificially inseminate. Today, we raise and sell multicolored, pastured eggs from a flock of 200 chickens living in a chicken palace on wheels and pasture 200 meat chickens at a time twice a year using my own custom-built lightweight chicken tractors. We also pasture pork from our own Berkshire sows and raise 100-percent grassfed beef from our three Belted Galloway cows and our one Hereford cross. We’ve even added beehives, along with Narra­gansett turkeys and lambs for our own consumption. Plus, we have a small orchard with a variety of fruit trees and a garden filled with heirloom vegetables which my wife likes to can and make jelly from. I dabble in making lard from our pork fat and canned chicken from the culled hens. I often tell people what we do and they typically comment on the amount of work we’re doing. I always agree with them, but add that we eat good and our freezer is full! We enjoy sharing with others and are passionate about raising our own food. I have great pride and confidence in what we do, and you simply can’t buy that in a grocery store. We have big dreams for our little farm and continue to make improvements as time allows. Working with the animals provides a certain serenity I can’t explain. With the support of our farm friends, we remain sustainable, and we thank God every day for blessing us with our little piece of heaven here on earth. Todd Kelley and his family run TurnerKelley Farm in Stockton, California.